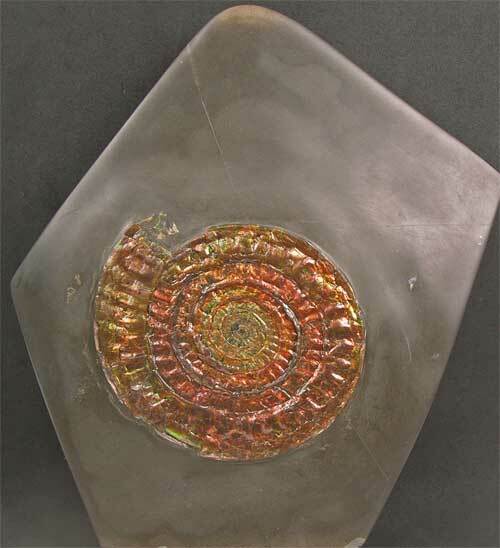 A very large, world class display caloceras from a locality which is no longer accessible to the collector. 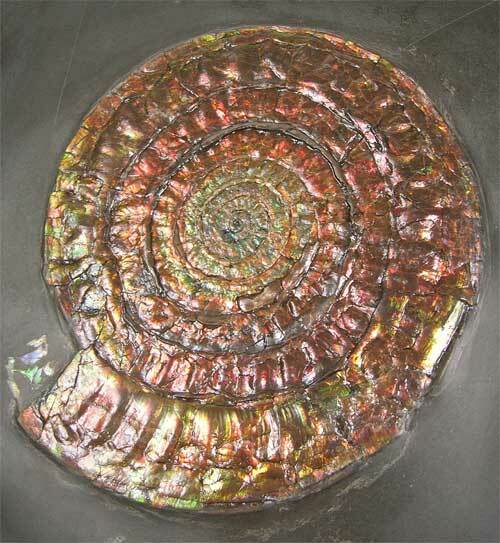 This particular fossil has had many hours of preparation dedicated to it. 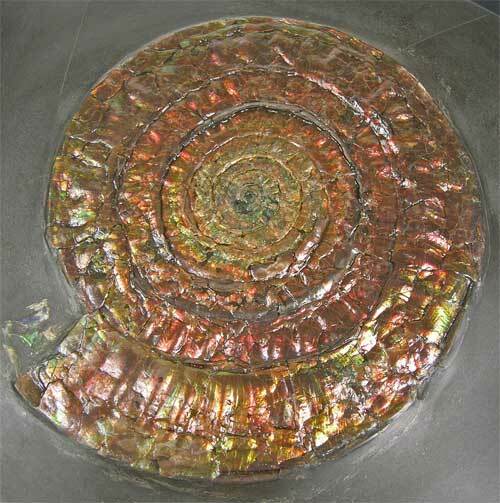 The irridescent shell is mainly composed of reds, oranges and green colours with the odd flash of yellow. The matrix has also been fully prepared even on the reverse side and has a cut base for ease of display. It would be very hard to find a better quality and better prepared caloceras for sale on the open market. Approximately 205 million years old. Prepared by Andy Cowap.